This part of East London is believed to take its name not from lime trees nor from a house bearing that name. Rather it owes its origins to the process by which chalk shipped from Kent was converted into lime. The process of ‘lime burning’ – which took place in these parts on the northern bank of the River Thames – involves heating the chalk in a bottle-shaped kiln, also known as an oast. 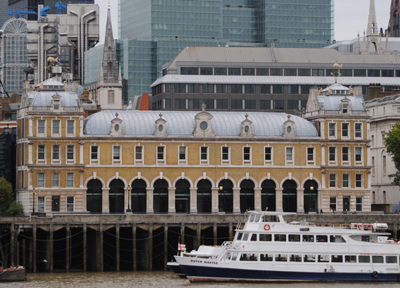 Hence ‘lime oast’ became corrupted into Limehouse. 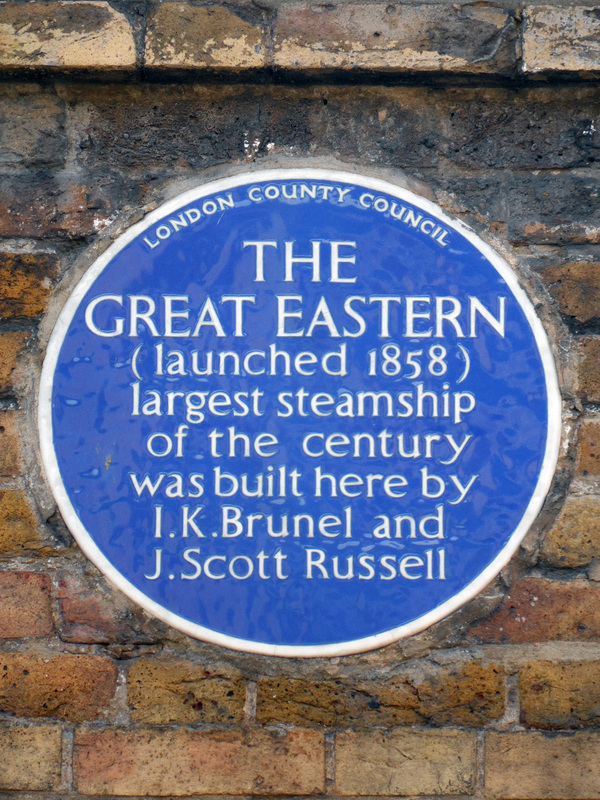 The earliest reference to the name comes from the early medieval era but in later centuries the area was noted not so much for its lime-burning but its links with shipping – particularly following the opening on the Limehouse Cut in 1770 which linked the Thames with the River Lea and allowed goods to taken from the north of London directly to ships on the Thames without the need to navigate around the Isle of Dogs (see our earlier post on the Limehouse Cut). 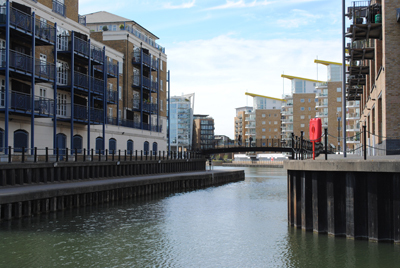 Limehouse Basin (pictured above, from the Limehouse Cut) opened in the early 19th century. The area, which became increasingly industrialised as a result, is also known for its links to the Chinese community – and this included, in the Victorian era, opium dens, but the association ended around the 1950s by which time the Chinese community had largely moved to Soho (where Chinatown still stands today). 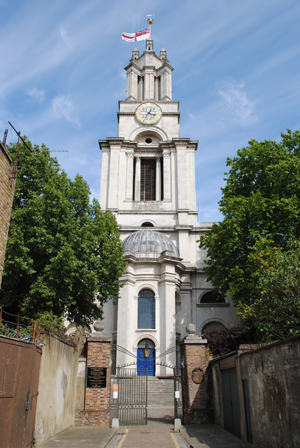 Among the area’s most prominent buildings are the Nicholas Hawksmoor-designed church, St Anne’s Limehouse (pictured), and the historic pub, The Grapes.